Our content get's people talking, sharing and linking! We learn and listen in order to fully understand what you do and how you want to come across online. Your website needs intriguing and attention-grabbing copywriting to make it a powerful online marketing tool for your business. After all, you only have one chance to make a first impression on a visitor who you’re trying to convert into a customer. The words you choose to describe your business with determining how persuasive, informative, surprising or inspirational your content website’s content is. Essentially the words on your website are your only means of relating to the customers you are trying to acquire and give them a reason to make an enquiry with your business. Great content on your website can turn a complete stranger into a loyal customer, it’s just a case of getting the right people to write it for you. No matter what your niche, industry sector, services or products, great content should always be given as much care and attention as you would offer your customers when you talk to them face-to-face. Websites with dull text, spelling mistakes or bad grammar inadvertently reflect poorly on your business and give potential customers the impression of a lack of professionalism and poor attention to detail in the work you do. We like to work closely with key members of your business in an informal interview to get to the core of the copywriting you require. If you already have your brief set out in handwritten notes, emails or existing content on another website that you’d like to emulate, we are happy to use them as a starting point for your content. Additionally, if you already have copy written and would like an expert to look over it and provide feedback and refine it before you commit to posting it on your website, we can assist you with that too. Online marketing strategies for businesses are now very focused on content marketing and this creates a new wave of channels and techniques that are designed to create engagement between you and your customers. At the heart of all of this is your storytelling ability. With this in mind, think of copywriting as a way to add your own personality into your business by creating unique content that is led by creative and engagement-driven copywriting. Aspirational businesses can benefit from the descriptive and inspiring copy. The language and tone of voice that you choose to communicate across all channels is very important. This is what will be key in creating a desire and motivation from your customers to make a decision to use your products or services over those of your competitors. In a world that is more connected than ever, your customers are exposed to and experience more marketing messages than any other point in history, so the first impression you create with your content needs to be a lasting one. The copywriting team at Digital Jumpsuit is able to create informative and accurate text that helps your business to speak directly to your target customers. This is true of any type of copywriting you are looking for, from leading informative product details or creating a more creative storytelling approach to the content on your website. Contact us today on 01422 646868 or [email protected] we’d love to discuss any ideas you have for the copywriting on your website and help direct your content marketing strategy. The Digital Jumpsuit team includes marketing copywriting experts and from magazine editors, so we can offer you a full range of written articles for any brochures, adverts, press releases, blog posts or website content. Our team are also experts in creating the copy to be used online that is designed to enhance the search engine optimisation (SEO) of your website. In fact, our digital marketers have created SEO friendly copy and content for businesses all over the world in a diverse range of industries. This experience means we have all the skills and knowledge to create copy for your business that is both engaging and attractive to your potential customers to your website. 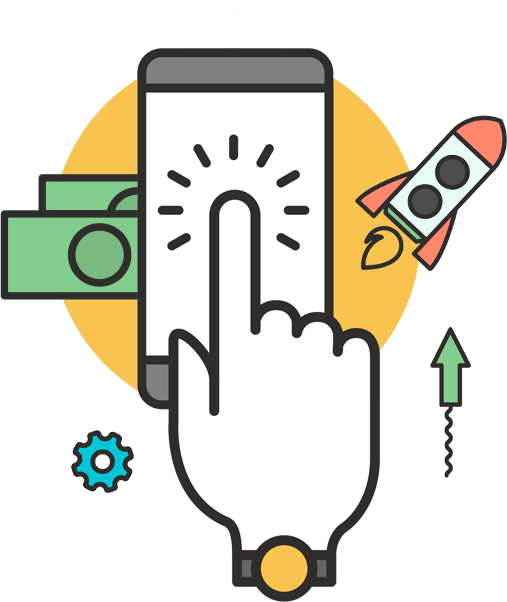 Find out more about our Search Engine Optimisation services here. If you want your website to make a difference for the customers you attract, you need a professional copywriter who industry expertise within your niche to create content for you. Digital Jumpsuit’s content writers are not only trained in optimising copy for search engines and the best digital marketing practices, but they also have an immersive experience in a wide range of industries. This allows them to bring valuable insights into how your industry operates and what your potential customers want to see when they are looking for products or services that you provide. Common industries that we work with include the Manufacturing, E-Commerce, Wholesale, Security, Professional Services, Business to Business, Trades, Retail, Photography, Interior Design, Music and Fashion industries. We would like to help you whether you’re looking for someone to do copywriting for news-based articles, educational evergreen content, leadership commentaries, product press releases, web page content or something entirely different. You can be assured that our content writers will be able to produce high quality, compelling content quickly and incorporate industry expertise and knowledge with our proven content marketing strategies. Email newsletters are a great way for you to keep your current and prospective up to date with everything your brand is doing and engage with your products and services while being entirely automated. The cornerstone to the success of any email campaign is a newsletter is staying on at the top of your target audience’s mind and gently guiding them down your sales funnel. 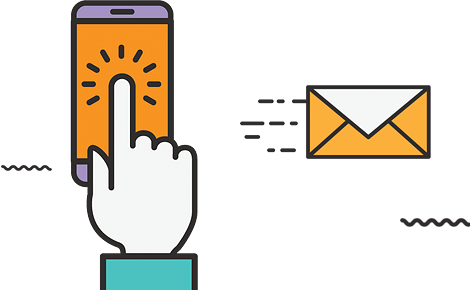 Digital Jumpsuit’s newsletter writing services always start by identifying the target audience for your products and services through subscriber demographics. Once we have created the appropriate personas we can begin to craft a newsletter with original content – that can incorporate your existing marketing assets – to appeal directly to the target audience that has been identified. This will encourage much higher open rates, click-through rates and conversions from your customers. In addition to this, your designated content marketing strategist, project manager and graphic designer will work alongside your copywriter to create newsletters that are uniquely created to speak to your target audience and drive more traffic to your website and where they can purchase your products or services. All of our newsletter campaigns are based on comprehensively tested strategies that are measured and refined over time to make sure the commercial objectives you have set out for your website are being achieved. Your Digital Jumpsuit copywriter and graphic designer will work alongside each other to create the perfect balance of text and visual storytelling to ensure that the editorial and visual components of your eBook are clear, comprehensive and provide value to your customers. Each sentence we craft is designed to remain concise and maximise the impact on your target audience while the visual aspects are interwoven perfectly with language to support the custom illustrations and graphical elements in your eBook. This tried and tested balance of information that is both helpful and easily digestible for your target audience to create eBooks that create maximum impact in the middle-of-funnel stage of your content marketing and its assets. We can write all of your website's content so you can concentrate on your business. We can discuss this in-person or over the phone so that we understand how you want to come across. Send out Newsletters? Then let us handle the writing for this as well. We can even manage sending them out as well as the design! As part of our Social Media Marketing we can handle your content for posts also. Our posts inform, educate and get people interacting with your brand. Need some content for a magazine article, brochure or something else? Then we can help with that also. Just contact us to get the ball rolling.